Safety. It is always on the mind of roofers. After all, statistics reveal our chosen profession is more than nine times as dangerous as other occupations. When compared to other construction trades, the data shows that roofers face triple the fatalities when compared to other construction trades. When you dig into the cause of roofer fatalities, you discover the culprit is almost always the same: Little-to-no adherence to safety standards. This flies in the face of well-defined safety requirements set forth by the Occupational Safety and Health Administration (OSHA), as well as the organization’s easily accessible published standards and resources. In addition, national awareness efforts by the “Campaign to Prevent Falls in Construction” (stopconstructionfalls.com), an initiative championed by government, industry, labor and academic organizations, is furthering the message of fall-risk prevention. 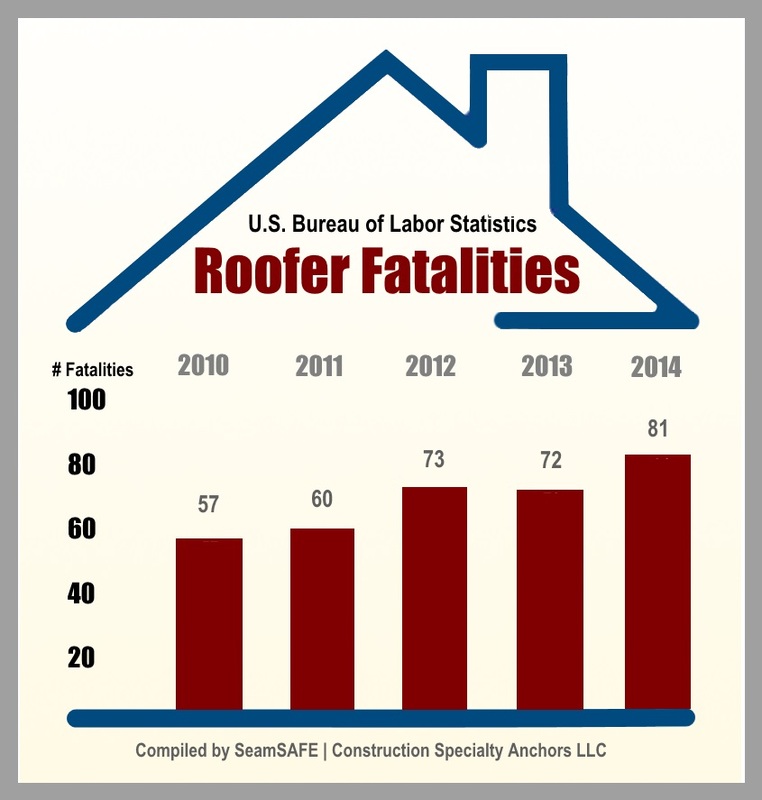 In spite of OSHA’s standards and their specificity… in spite of the many informational and training resources available… and in spite of hard-hitting promotional campaigns, the number of roofer fatalities persists. In fact, on-the-job deaths among roofers have increased four out of the last five years, according to statistics published by the U.S. Department of Labor. I’ve spent my career working on roofs. I know the safety standards and I’m aware of the hazards. Though, a number of years ago, I wasn’t secured and lost my footing. I nearly lost my life. I was working on a standing-seam metal roof and, in the blink of an eye, found myself flat on the ground. I knew at that very instant I was lucky to be alive and to have survived the fall. That fall was life changing. And, it served as my inspiration to invent a new type of fall-arrest anchor that provided unmatched safety protection. I also wanted the anchor to be lightweight and extremely easy to use – so it would be used all the time and keep standing-seam roofers from becoming a statistic. After countless hours of product research, engineering and rigorous testing, I introduced SeamSAFE anchors, which created a new standard for roofing safety. Yet, using the right safety equipment – whether it be SeamSAFE anchors or other types of fall-arrest apparatus – is just one essential component of a comprehensive safety strategy. Reversing the trend in roofer fatalities requires adhering to proven, documented safety practices that encompass the following. So, there’s an obvious solution to protecting our fellow roofers and saving lives. And it is easily within our grasp. It comes down to incorporating established safety practices into every roofing project. Let’s work together to make it happen.